While Microsoft is undoubtedly better known for its productivity suite, the remit of in-house development studio The Garage is is a little broader and more playful. Not unlike the "20% time" projects at Google, Microsoft Garage is responsible for experiments that may or may not end up becoming fully-fledged products. 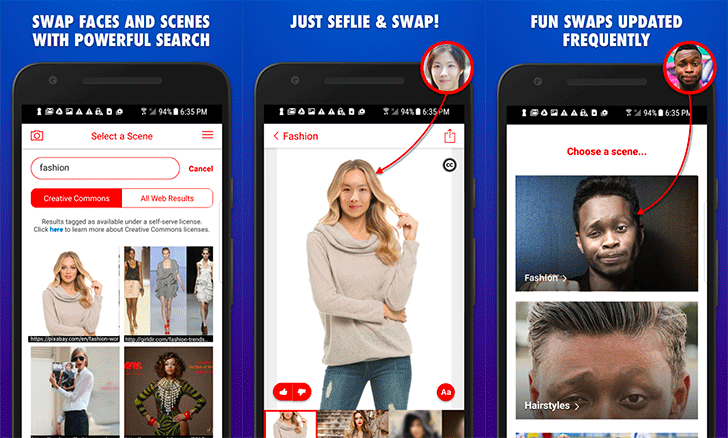 The latest to see a full release after a few years of testing is Face Swap, an app that will automatically swap your face into any scene. The originality of its name may be questionable, but this is something a little different than its moniker might suggest. Here, rather than swap two faces around as with other apps in the genre, you simply swap your face into an entirely different setting, no photoshop skills required. You take a selfie or pick one you've already taken, then use Bing image search within the app to find a new scene into which you can insert yourself. Once you've found that photo of an astronaut, basketball player, or politician, the app will automatically recognize the face in the target picture and swap yours in for it. Check out the video below for more information. Face Swap is based on high-tech facial recognition software developed by Microsoft Research and also utilizes Bing image search. Although it looks a little creepy in the video, it seems to work pretty well, and the early reviews on the Play Store seem positive. Microsoft appears to want you to try different fashions and hairstyles using the app, but let's be honest its key function will be for creating personalized memes – not that there's anything wrong with that. The app's available right now on the play store (link below) or you can grab it manually from APKMirror.